Right Matron – carry on! From The Rules and Regulations of the Royal Free Mason Charity, 1791. 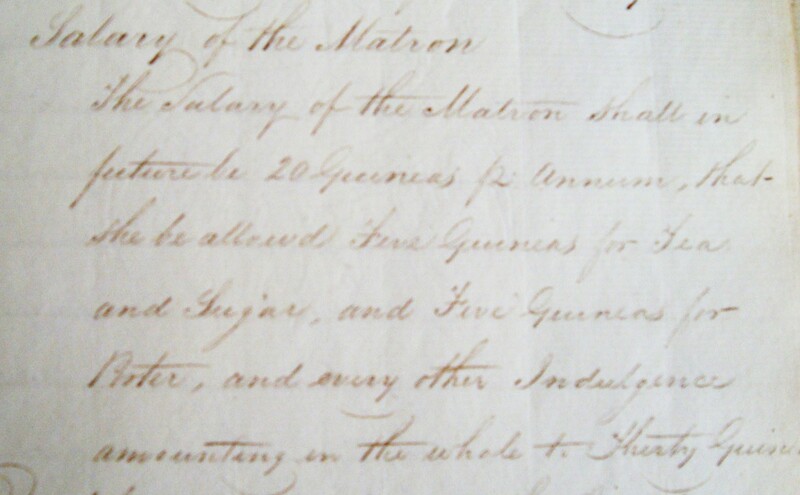 From a Rough Minute Book recording the Freemasons’ School Committee meetings, dated 1788, we find information about the election of the first Matron for the School, following an advertisement that had earlier been placed in a newspaper. In this series of blogs, the candidates for the post of Matron, and the outcomes of the ballot of shortlisted names, will be considered. This posting concerns four more of the candidates who were shortlisted but unsuccessful in their application. There were 17 candidates shortlisted, together with their addresses. In the meeting held at the Oxford Coffee House, Strand on Thursday 30th Oct 1788 “Ordered that the Secretary insert in the Register the names & recommendations of each candidate for the Place of Matron who has applied, in consequence of the Advertisements.” (Rough Minute Book – RMB) Applying modern research techniques to the information given in the Rough Minute Book gives a greater understanding to what would otherwise be sparse information. In this series of blogs, the candidates for the post of Matron, and the outcomes of the ballot, will be considered.